Solid Solutions uses Magmasoft software to computer- simulate or solidification model gray and ductile iron castings. 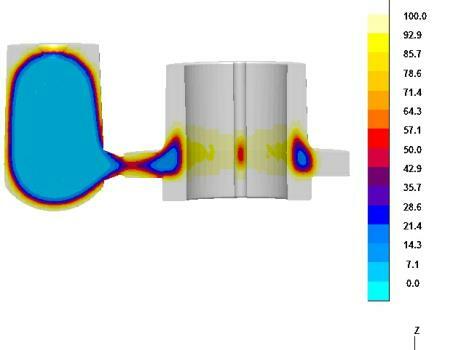 Solidification modeling verifies the effectiveness of the gating and risering system prior to actual sampling. This reduces new job start up cost and time. Solidification modeling with Magmasoft can also be used to reduce scrap or design lower cost gating systems of existing jobs. The mission of Solid Solutions is to provide solidification modeling, using the best available software, at a very affordable price to smaller foundries that cannot justify the time and cost of operating this tool in house. To view a short, demonstration of the process please click below.